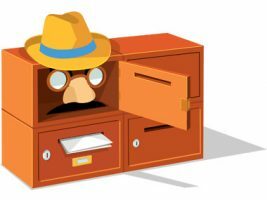 The VPN Lab - VPN Guides - Does HideMyAss Keep Logs? HideMyAss is one of the biggest and best-known VPN services on the market, featuring servers in more than 210 countries. 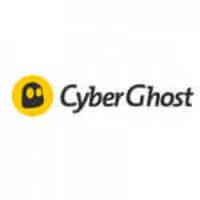 The company was launched in 2005, which also makes it one of the veterans on the market of online security providers. However, HideMyAss is plagued with two major problems. First, they are known for handing over user data to the government. Second, the service is pretty feature-light. In our opinion, choosing HideMyAss as your online security service means that you need its widespread network of servers rather than serious online protection. Our blog will explain the company’s logging policy and the potential impact of its legal surroundings on the service. HideMyAss is currently owned by Avast Software, a Czech company famous for its antivirus. Having said that, HMA is based in the UK, which is terrible news for VPN users everywhere, given its notorious surveillance laws. In other words, the location of HideMyAss and its legal framework are pretty much as bad as it gets if online safety is your primary concern. HideMyAss records your IP address whenever you connect or disconnect from the service, the amount of transmitted data, and the IP addresses of the servers you connect to. VPN providers were required to record and store metadata logs long before the Investigatory Powers Act came into effect. All the collected data is available to a number of government agencies, as well as to law enforcement. According to the Investigatory Powers Act, VPN companies are obligated to keep logs for at least 12 months, which is more than enough time to get you into serious trouble if you’ve done something wrong. We all remember the cases of Cody Kretsinger and the Galveston County judge when HideMyAss handed over the personal details of its users. Bottom line, if you want to be completely safe from the government and its institutions, HideMyAss is definitely not a good choice. We’re not getting into the merit of the aforementioned cases, we just care when VPN services leak sensitive user information.